If you are like most truck drivers in Youngstown, you simply can't afford to settle for a second tier vehicle. Letting this lead the way, Nissan's Titan was built to own work in ways the competition can only dream of. Take a moment to follow along with the Boardman Nissan team and you will soon see that the Titan is all business when it comes to making good on this declaration. Designed to astound, the Titan's potent powertrain has what it takes to dominate even the toughest of tasks. 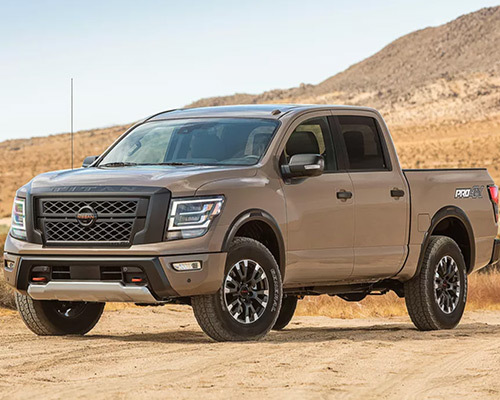 Thanks to its potent 5.6-liter (L) Endurance V8, able to produce 390 horsepower (hp) and 394 pound-feet (lb.-ft.) of torque, owning or leasing a Nissan Titan from Boardman Nissan is a great way to equip yourself with a hefty dose of power. If putting in a hard day's work is your calling card, are you really ready to opt for an inferior pickup from the competition? 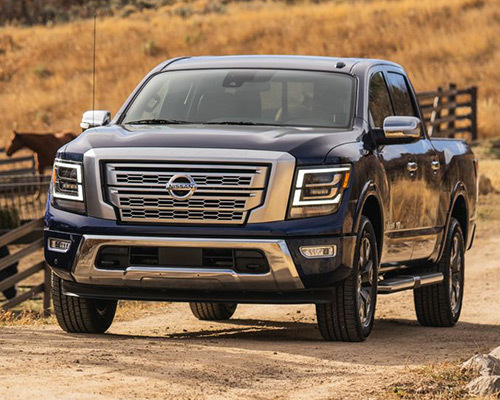 While the motor detailed above is nothing to scoff at, the Titan's towing potential is also worthy of admiration. At the end of the day, you can enjoy the ability to tow up to 9,660 pounds (lbs.) when you park a Nissan Titan in your front driveway. If counting on your truck to handle any payload is a must, then it is obvious the Titan needs to be on your radar. Looking to haul some sod or knock out another item on your honey-do list? Then you can count on the abuse-ready Titan truck bed to help you tackle this tough task. With the ability to handle up to 1,610 lbs. of payload, buying or leasing a Titan from your friends here at Boardman Nissan in Youngstown is the smartest way to move dirt, gravel, four-wheelers, and pretty much anything else you can imagine. Slogging through your daily grind can be fun again with the power of the Nissan Titan S on your side. In fact, once you realize that having this truck on your side means having access to a Hands-Free Text Messaging Assistant, 40/20/40 split-bench front seat, Push-Button Ignition, and countless other state-of-the-art upgrades, it is safe to say driving around Youngstown is about to become a whole lot more exciting. For pickup owners who want more from their truck, upgrading to the Titan SV, which incorporates all of the features found in the S, is the way to go. In an effort to become the most enticing driving experiences in all of Youngstown, this pickup leverages tons of impressive updates, including interior mood lighting, chrome exterior, and even grocery hooks located on the bottom of the rear seat cushion. 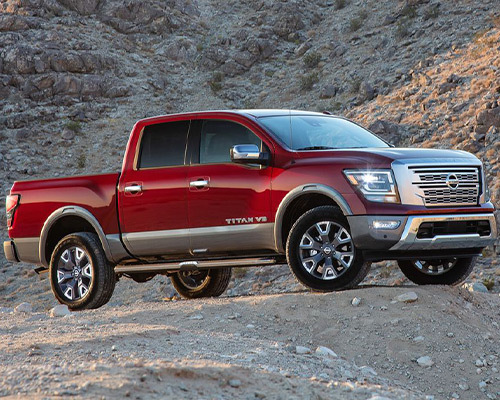 The Nissan Titan Pro-4X has all of the tools needed to help you conquer any trail. Naturally, backing up this bold declaration is a breeze when you have access to Bilstein Off-Road Performance Shocks, 18-inch (in.) all-terrain tires, an Electronic Locking Rear Differential, and countless other upgrades designed exclusively for the off-road. The Titan is a truck that knows how to satiate your modern tech needs. Going a bit deeper, leveraging Android Auto and Apple CarPlay ensures tapping into the digital world while you are on the go is a cinch. Anything is possible, like makings calls while you keep your eyes on the road and getting turn-by-turn directions via Google Assistant, with the power of these two cutting-edge systems in your truck. Keeping your tools in top shape begins with the right storage setup. Enter the Titan Box storage system. Modular and designed to keep your gear secure no matter where the roads take you, Titan Boxes serve as the ideal capstone on a new Nissan Titan. Looking for some choices when it comes to the size of your pickup bed? Then the Titan is ready to meet — and exceed — your needs. With access to a 5.5-foot (ft.) bed on crew cabs, a 6.5-ft. option on king cabs, and a massive eight-ft. choice for single cab editions, there is no denying that you can build the bed of your next Titan just the way you like. After showcasing all of this and bringing you up to speed on all that the Titan has to offer, you only have one question left to consider: Don't you deserve all of the power, comfort, and safety that comes with driving home in a new Titan of your own from Boardman Nissan?